After the underwhelming Kill Uncle album 1991, Morrissey rebounded the following year in a huge way with Your Arsenal, undoubtedly the former Smiths frontman’s best solo album. 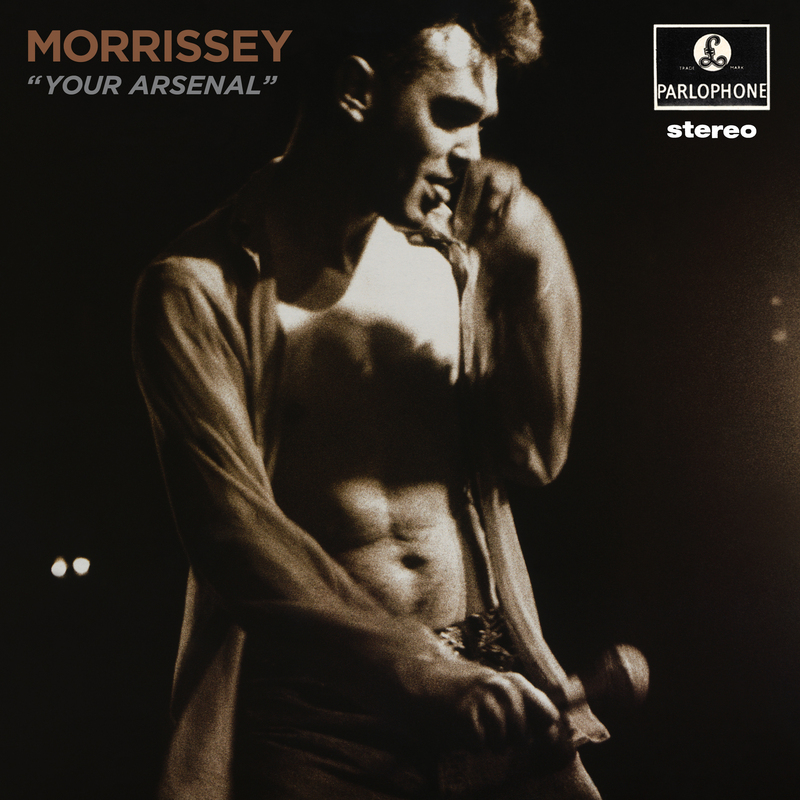 Produced by the late Mick Ronson, Your Arsenal is a masterpiece that paired Moz’s charismatic vocal style and sardonic lyrics against dynamic and electrifying glam-inspired music courtesy of guitarist Alain Whyte, whom Morrissey would collaborate with for over a decade. From the opening tracks “You’re Gonna Need Someone at Your Side” and “Glamorous Glue,” through the rockabilly “Certain People We Know” and and the dramatic” I Know It’s Gonna Happen,” Your Arsenal captured Morrissey at the height of his cult popularity in fine form. This reissue of Morrissey’s classic also carries a DVD of a vintage live performance from Mountain View, California in 1991 – a nice appetizer for those attending Moz’s upcoming shows in the States later this year.